The medical plastics and medtech line up has been impressive this year with no end of innovation and breakthrough. Picking some of the key moments was hard but as always, a pleasure, says Lu Rahman. We kicked off 2017 with some news of our own – that Medical Plastics News readers could now take advantage of two new magazines (MPN North America and Med-Tech Innovation) and an event for the medical device sector (Med-Tech Innovation Expo). 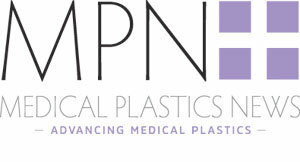 Medical Plastics News North America has been running for almost a year and the response to the magazine has been incredibly positive. Just like the European edition, this sister title features the latest trends and advances in the medical plastics sector and presents the market’s news, thoughts and innovative practices to keep readers at the forefront of an industry that's crucial to advancing healthcare internationally. The current MPN has always maintained a strong connection with its US audience and the team noticed that over recent years, this section of readership has grown making the time right to offer a dedicated publication for this forward-looking region. Just like the original mag, the new US-focussed title provides a multi-platform hub for anyone working or targeting this sector. It’s a place to discuss, promote and learn – just like its European counterpart. And with the same quality of readers – senior decision-makers from some of the world’s most influential medical devices OEMS, it provides increased opportunities for both readers and advertise to reach and communicate with the wider medical device market. Bringing the Med-Tech Innovation brand, which was acquired by Rapid News Communications at the end of last year, into the MPN family has also proved successful. Headed up by MPN deputy group editor, David Gray, the magazine showcases the best new technology and innovation in the medtech sector. The Med-Tech Innovation Expo which will take place at the Ricoh Arena, Coventry, on 25 and 26 April 2018, sits alongside the magazine, offering the sector the opportunity to meet and do business with the UK and Ireland’s leading medtech companies and innovators – an industry currently worth an estimated £27bn.